A city based firm of chartered surveyors has announced that it has head hunted a new Associate Director tasked with setting up a new division at its head office in Nottingham. Nottingham based Musson Liggins has announced that it is launching a Building Surveying arm to the business, headed up by new recruit, Andy Graham who is joining the firm in October from The Vinden Partnership (TVP). David Bladen, Equity Director at Musson Liggins, said: ‘’We have many loyal clients that require Building or Structural Surveys and in the past, these would be outsourced. More recently, we have sent them over to Andy Graham, so taking him on to head up our new division made perfect sense’’. David continued: ‘’People use us for our personal touch and consistency, so we are delighted to announce that all building, structural and dilapidation surveys will now be done in house. Andy will also cover project management tasks, expert witness statements and party wall work’’. Andy 35 from Derby who has over 10 years’ experience as a Building Surveyor said: ‘’There aren’t many surveying practices in Nottingham that have a Building Surveying department, so I am pleased to be given this opportunity. I am ready to hit the ground running and looking forward to this exciting new challenge’’. 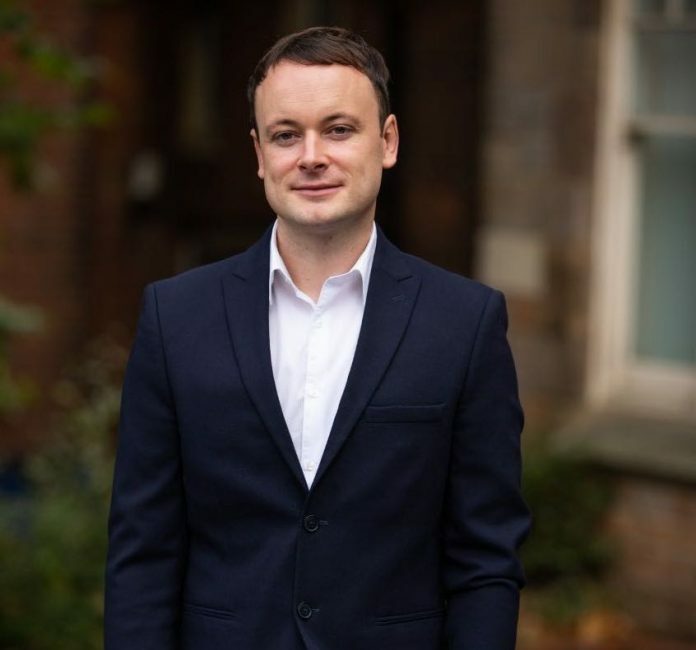 Property hasn’t always been Andy’s chosen career path, from school he had a number of jobs before studying an access course at the University of Derby followed by a Business Property Management and Building Surveying Degree at Sheffield Hallam University. Andy found his interest in property after working at Robert Ellis in Long Eaton handling viewings, it was then he became interested in defects in properties and how to fix them. He then went on to work as a Building Control Inspector followed by his most recent role as a management consultant at TVP. This latest announcement comes shortly after the Company recently announced the buy-out by Directors Graham Parkinson, David Bladen and Matthew Wade. The three bought the remaining shares in February 2018 that were owned by the founders, Stephen Musson and Matthew Liggins who still work for Musson Liggins. Musson Liggins provide a comprehensive range of both conventional and specialist property services. The firm is well known throughout the East Midlands as a commercial property agency and for providing valuations of properties for bank lending.